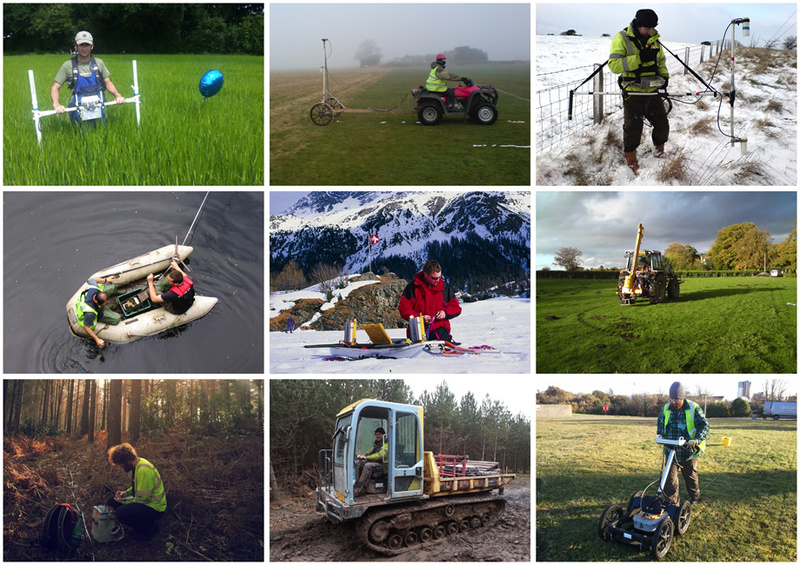 Geophysics is a modern science routinely applied to ground exploration. A range of survey tools are available for mapping/profiling subsurface targets such as mineral bodies, engineering rockhead, shallow archaeology, environmental contamination through to unexploded ordnance. Low Cost – Geophysical surveys offer remarkable value for money when compared to more conventional site investigation techniques alone. The value of the information acquired combined with the reduced cost from an optimally designed follow-up invasive investigation easily exceeds the original outlay – not to mention the reduced legal implications of failing to use all the common tools for site investigation available and missing the target as a result. Rapid Coverage – Up to 2-6 hectares of land can be typically surveyed in one day on an engineering scale project or a much greater area it the target is minerals. If surveys are carried out along profiles, then up to 5km can be acquired depending on the method. Sometimes it is possible to deliver draft results of anomaly locations whilst on site (subject to final data processing and analysis). All our surveys are tied in to National Grid coordinates or local site grid making relocation of anomalies simple and accurate. No Exposure to Buried Hazards – Because geophysics is non-invasive, neither operators nor other people on site are exposed to hazardous material. Minimal/ No Surface Disturbance – Since little or no ground penetration is required geophysical surveys can be carried out in urban areas, highways or landscaped environments without disturbing the surface. Easy to Comprehend – We take special care to present our findings in a format that can be easily understood and integrated with other site datasets by non-geophysical specialists. The results are presented as scale engineering sections or annotated plans that clearly define the features of interest for the Client. Integrated Capability – We own all of our survey equipment, which enables selection of the most suitable method to use on site without compromise. 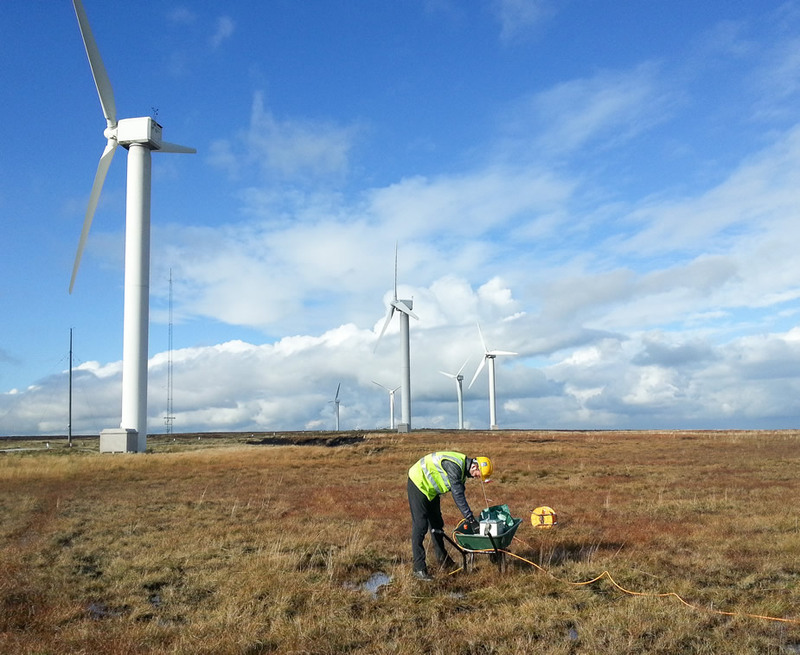 Our survey teams can respond efficiently to unforeseen ground conditions and optimise survey design while on site. Low Risk – We understand that some customers may be unfamiliar with geophysics or the recent advances brought about by modern instrumentation. Consequently, as standard we provide free consultation for the Client from the initial design stage right through to post report discussion. Our objective is to ensure the job brief is met efficiently by optimal survey design within the site investigation budget. Our approach has proven very popular over the years with the main body of our work coming in the form of repeat custom.